Bristol-Myers Squibb’s efforts to push the use of Opdivo earlier in the course of melanoma treatment have hit a snag in the UK. England's cost effectiveness watchdog NICE has decided not to recommend use of the PD-1 inhibitor as an adjuvant treatment for NHS patients with stage III and IV melanoma – in other words to prevent the cancer recurring after surgical resection. In an emailed statement, NICE said that it took the decision because the reviewing committee “concluded the clinical effectiveness for overall survival was very uncertain” and was also unconvinced by cost effectiveness estimates for Opdivo in this setting. It also says it cannot recommend the drug for use within the Cancer Drugs Fund (CDF) “because…it is not possible to assess whether nivolumab has plausible potential to be cost effective.” For the last couple of years NICE has called the shots on the inclusion of drugs in the remodelled CDFdesigned to avoid the over-spending seen with its predecessor. Opdivo was approved for adjuvant treatment of melanoma on the back of data from the CheckMate-238 trial showing that it was superior to BMS’ CTLA4 inhibitor Yervoy (ipilimumab) in reducing the recurrence-free survival rate, with some analysts predicting that the indication could add around $1bn to Opdivo’s peak sales. There was a 35% reduction in the risk of recurrence or death with Opdivo versus Yervoy. 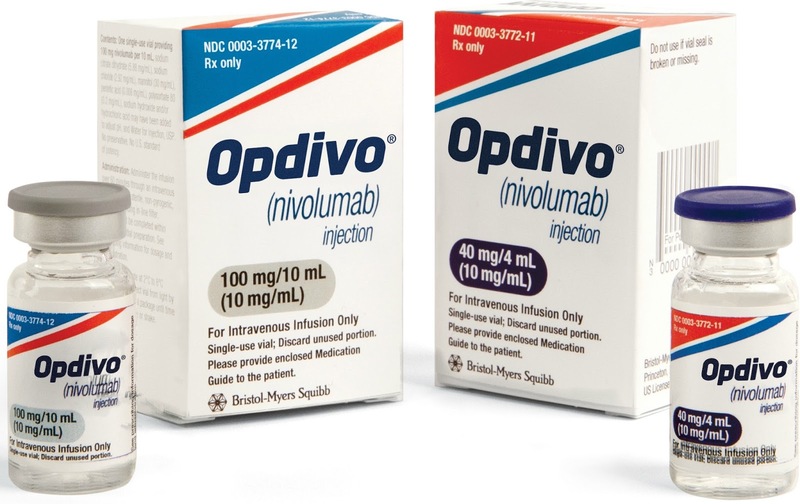 At the moment Opdivo is the only PD-1-targeted cancer immunotherapy approved for adjuvant use, although Merck & Co/MSD’s Keytruda (pembrolizumab) has also shown its value in this setting in the KEYNOTE-054 trial reported earlier this year. In that study, MSD’s drug reduced the risk of recurrence or death by 43% compared to placebo, and the company has filed for approval of Keytruda on the strength of the data. Researchers are also investigating whether PD-1 inhibitors could have a role even earlier in the treatment pathway, giving them as neoadjuvant therapy – in other words pre-surgery to prevent a post-surgical relapse.